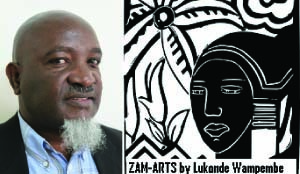 THE literary criticism of this week takes as a point of departure two prominent poems in Alfred Mukanaka’s vernacular collection of verse named ‘Amakalata’ or ‘Letters’ as a literal translation from the English language would make us believe. As a matter of fact, this is the second critical work on the letters by the Zambian poet from the town of Chingola. The word prominent as just used might not necessarily conjure upimages in our mindsof anaesthetic gargantuan piece of workalthough— I must hasten to add—as we will observe a littlelater that thispremise might notentirelybe an understatement.Having set on course,we need to state that the prominence of the two poems is as a result of the clearly stated themes; so outstanding you would not omit the pieces in a collection that amalgamates an odd- hundred pieces of expressly idiomatic flavored vernacular poetry. Apasangwa amashi ne fiseekwa fyamise. Pantu tubikamofye imbokoshi imo epela, mwashikapo! Imyaka ubwingi, waikala pamo kwati ciite! 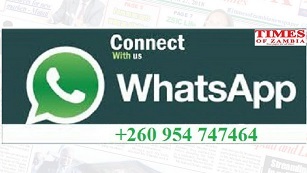 Africa bushe taumfwa nsonisha kulombalomba? Bushe mwaisula fye amafwesa ne fyulu? The English version of great thoughts like these might obviously leave out the salient issues in the original text in terms of intended sarcasm, idiomatic expressions and innuendos of Ici-Bemba strenuously imposed uponits lines by no other than the poet himself, one would argue. I have had to seek the indulgence of the readers for a fairly long excerpt here purely for reasons of a deeper understanding of our preoccupation in this conversation. But before we do that we need to consider the English form of the verse. Unconcerned, are you afraid of beatings? Africa, aren’t you weaned yet? Africa, are you not ashamed of begging? Africa, how vast the land! Are you only full of insect mounds and anthills? The curse of Africa is because it is more of an idea; it is far much less an ideal to the greatest extent possible and we all must agree. There are two twin evils that plague Africa, namely, a privileged class of intellectuals and a blatantly flawed and mediocre political leadership. The first is a group of people who pay lip -service to the idea, which is Africa; they are copy- cats with one foot in Africa and another in the posh capitals of the world. It would be important to illustrate what this is by examining some personalities. Take, for example, the former poet-president of Senegal, Leopold Sedar Senghor, and the prime mover of Negritude who would take to the podium in the day and eulogize Africa’s black masks and in the evening fly out to metropolitan Paris in search of a three-piece suit. In fact, most intellectuals who cry loudly about Africa never get to live among their own people. I had a friend once, Chibale Kalaba, a self-styled writer, who would walk into a workshop with a traditional gourd danglingon his neck like a tagged cow but shortly after the proceedings retreat to the comfort of a modernhome to drink water from a cup made in China. There are many other illustrations of failed political leadership in Africa. Zaire, now renamed Congo, (and one would ask, what is in a name?) produced a Mobutu Seseko whose only legacy, I would think, is a city in the middle of nowhere, Badolite; his home village where fountain springs would be regulated by Rhumba music beneath the earth as he walked about sipping tea from golden cups in the midst of squalor for his people. But Mobutu, (only a small fraction of a name for one with the longest name in Africa) spoke so highly about a concept called authenticity, a renascence of African-ness—so then, why should the poet ask the questions about Africa being a ‘damp heap’ at best, a ‘rubbish pit’at worst, ‘a docile continent whose wealth is being stolen by alleged foreigners’, ‘a vast land of nothing’, ‘full of insect mounds and anthills,’‘taking longer than necessary at a mother’s breast when she is supposed to be weaned,’‘begging and always begging?’ Ironically, the poet provides answers to Africa’s challenges in the last stanza. There is UNITA and FRELIMO! Or, could it be that you are cursed? As has been discussed, Africa is under no spell or a curse, Africa’s problems are self-inflicted. It is mainly corrupt leadership that has destroyed and is destroying Africa. As a result of ineffective leadership Africa suffers from indiscipline and lawlessness. You only have to drive in Lusaka to appreciate what indiscipline is and what it can do. The majority of our people unfortunately do not have any regard for the law, they can break the law as and when it suits them. Mini-bus drivers and some motorists, for instance, can overtake any motorist from any sidewalk and sometimes in full view of the law enforcing agents, the police! The few who still hold on to sanity are often looked upon as miscreants who need to have their heads examined. One other good example is the newly built state-of-the- art architecture, Heroes Stadium, whose surroundings are amuddle. There are two vicious foes the structure is fighting against on its premises: there is what I would call the brownish dust -proper which has conspired with the black charcoal dust in the eastern direction, both pommeling on the building and if nothing is done ten years down the road we will credit to our ingenuity right in the heart of the city a hackneyed white elephant, nay, ablack elephant! Once again dear reader it is not about Africa, it is about the people of Africa, the governors and the governed, the rulers and the ruled. I agree we have had pre-colonial Africa, colonial Africa, slavery in Africa, neo-colonial and even capitalism in Africa and a host other isms just like others did have, but where are they today? Where is South Korea today? Much more advanced than Africa is: so it is not about a curse, it is not even the idea that we have been more sinned against than others. It is about our inability to hold on to the ideal Africa. Once, the former and first president of Tanzania is said to have gone to plead with the bank for payments on his mortgage since he had just paid for his children’s school fees. How many African leaders with all the power at their disposal would do that,but dear reader that is the ideal Africa should relentlessly seek to pursue. We will consider the second poem next week.